Last year my ankle was terribly swollen and in major pain. It had been that way for a week. It was not a sprain since it had started suddenly while I was sitting. I was leaving for the States in a few day, so I needed to attend to it immediately. 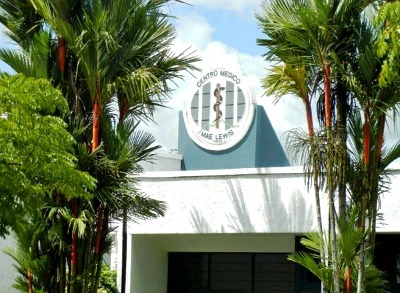 I went to a private clinic in David Panama, the Mae Lewis Clinic. It is a more expensive option, but it is usually fast, which is what I needed. I arrived at the clinic with no appointment. I was ushered into to see a doctor within 15 minutes. 10 minutes later I was getting my ankle x-rayed. 10 minutes after that I saw a specialist. Turns out my fears of rheumatoid arthritis or some chronic condition, were groundless. I had a few infected cuts on my leg, and those infections had settled into my ankle. I didn’t even know a joint could get an infection that way. The English-speaking specialist (whose dad was from Seattle via Norway) said the infection had settled into my ankle because, as the x-ray showed, my ankle had incurred much trauma over time. I remember many of those traumas. They were inflicted by forwards trouncing on my feet and ankles during my years playing soccer as a full back. If you are thinking of getting health insurance, visit this post to learn about Panama’s health insurance options. Still deciding if you will be happy in Panama? Take our quiz to find out.